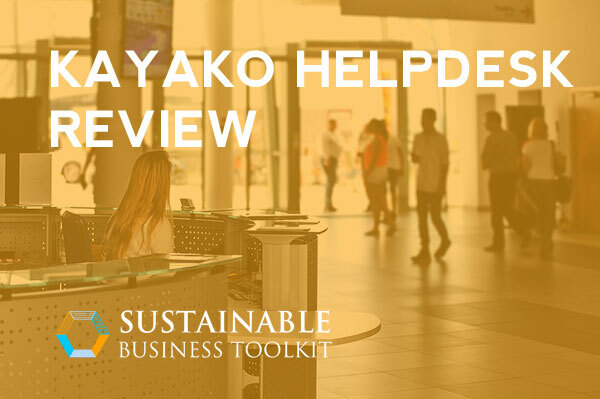 Want to see if the new Kayako help desk software is good for your business - look no further. To make your choice easier, we've compiled a list of its features, pros and cons, pricing models, and more. We looked at its live chat, email, call, CRM, social media, cell network integration and other capabilities and rated it for your convenience. To effectively run your sales and customer service business arm, cloud-based help desk software is definitely the best way to go. As more and more companies around the world (according to some of their materials - 50,000, including NASA, De Beers, and Peugeut) rely on Kayako's Help Desk support, it's the right time to check out if it could be the right software for your business. In short, we found that what sets Kayako aside from some of its more revered competition it is the insights that it allows you collect. Working with your customer inquiries, chats, social media conversations and emails it compiles data on your sales and performance metrics, to help you identify opportunities for better customer support, conversions and sales. But of course, as every other customer service software, it is compatible with email, live chat, calls, self-service support, making it a one-stop-shop for all your customer interactions. One of the best features is it's autoresponders to FAQs, which allows you time to address more pressing and unusual queries and ultimately focus on expanding your business instead of managing email flows. All these features are mobile-integration friendly and support iOS, Windows and more. Thanks to its API Kayako is especially helpful to eCommerce businesses syncing page views and every customer's purchase history with the marketing or sales teams for better cross-selling. Kayako puts a complex notion of human interaction - or a conversation as we know it - at the core of every customer-facing feature. It allows customers reach your business via a multitude of channels, from email to Facebook and Twitter messages. Kayako will then pass on the message to any of the available customer service assistants. It uses tagging triggers to choose the right assistant for every question. The pricing varies from Kayako's Free plan (up to 3 users, live chat, email, basic help center) all the way to their bespoke Enterprise plan which costs $90/user/month. Kayako offers a free 14-day trial. But if you go for any plan above Standard, it's better to email them ([email protected]) and ask whether you could extend your trial by a day or two to really put the software to the test in your business. Kayako is categorised by the enterprise security and a great range of communication channels available for a good price. Thanks to its intuitive and modern interface, it's quite easy to use. It's a rather scalable client support platform that provides you with necessary features that track your customer service interactions and progress. A bit pricey for a growing business, as those probably require Growth or Scale plans. As Kayako integrates with multiple communications' channels, conversations might get out of hand if staff don't manage them appropriately. You will have to do integration with other systems yourself. To simplify your decision-making we compiled Kayako's main features into a few major categories. Kayako's live chat allows your staff an opportunity to interact with customers in real time. This offers you plenty of opportunities to proactively support and convert your potential customers. Based on how sophisticated your FAQs are there is a chance Kayako might be able to help you run autoresponders to all your standard queries using a system of tagging. The software automates FAQ responses using macros, automated responses, notifications, and ticket sorting. With an overview of issues dealt with automatically, you can see the trends and update your website and other sales and marketing channels for higher success rate. Automated ticket routing connects your customers to the right staff very effectively. Using their 100 ready-made report templates, you can track your business's performance and utilise Kayako Query Language to create custom fields that will provide you with metrics on the parameters you would like to analyse. You can customize the way tickets and live chat forms appear so that they work best for each kind of inquiry and resolution process. To make your branding look unified you can use your corporate logo and colors, making your customer support as smooth as possible. Kayako offers the convenience of working through mobile apps for iOS, Android, and Windows phones and tablets. As one of the oldest providers of help desk software, Kayako definitely is worth considering for your business. You might be put off by its pricing models but given its flexibility and easy-to-use interface for customer self-service it might save you hours of dealing with repetitive questions. Its CRM and web integration features are reasonably thought-through and reporting can be very helpful with meeting your sales goals intelligently.